Prison Food | Come Here To Me! 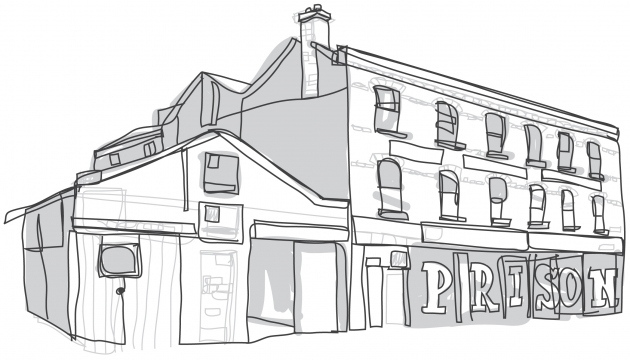 Illustration of the old City Arts Centre, via the Campaign for the Old City Arts Centre. 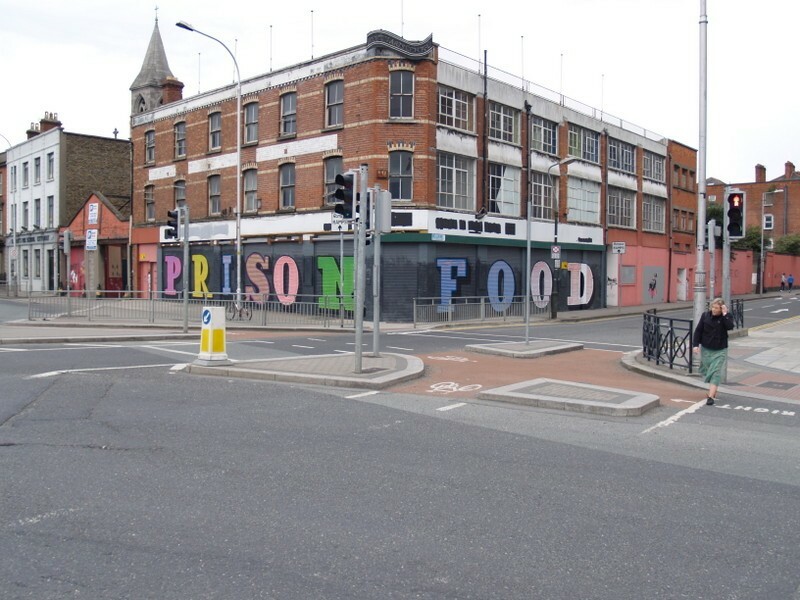 One of my favourite pieces of graffiti in Dublin was Eine’s ‘Prison Food’ piece, upon the City Arts Centre. Eine is a pretty huge name in graffiti and street art circles, with David Cameron bizarrely presenting Barack Obama with one of his works as an official gift in July 2010. Eine told the story of this piece in the recent book, A Visual Feast, which explored Irish graffiti and street art, from the murals of Derry to the backlanes of Dublin. He told of how the piece was illegal, and midway through painting it he found himself hiding in a bush from Gardaí. Just what it means is anyone’s guess! Sadly, I heard today that this piece has been painted over, and is no more. All street art is temporary, but I’ll miss this one. Did this not have ” Prison Love ” painted there recently? Anewspace was very involved with Eine, Eelus & Rugman on their visit with Stella Dore. We sorted out alot of the sites and worked on the pieces each day. City Arts Center came thru Stella Dore. But as we walked down the south Quay. The gallery head insisted the site was a set of shutters at the corner of Tara Street (beside the SPAR & White Horse). Eine outlined the letter shapes & as I remember a few helpers including Eelus, XPIR, Canvaz and Dead By 30 filled in. The word Weapon was painted in an hour & half during lunch. Everyone was really nice and we all assumed we had permission. Just as we finished Eelus & I went across the road to paint a small Angel (what about Darwin) piece just as that was almost done. My phone rang. It was the contact for the site asking where we were. I assured him we had finished. He assured me we were at the wrong site! We packed up & left. Got some emulsion & lunch. Started Prison Food & an Eelus piece on City Arts Center.